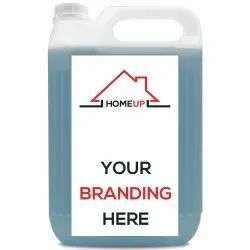 Keeping in mind the ever-evolving needs of our clients, we are devoted towards offering an optimum quality array of Carpet Sofa Car Dry Clean Shampoo. This Carpet Shampoo used in hotels and other commercial complexes as a carpet shampoo with standard shampooing procedure, these shampoos are durable and do efficient cleaning. USES: It is used to remove dirt particles, dust and liquids & stains from carpets. EATURES: It reduces bad foul created by micro-organisms on different types of Carpets, it reduces the illness of inhabitants by providing. It is eco friendly and ensures steak free cleaning. We are among the reputed organizations, highly engaged in providing an optimum quality range of Carpet Shampoo. 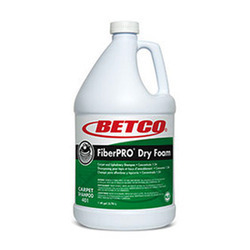 • Effectively removes tough stains from carpet, rugs, upholstery, seat covers etc. Our respected customers can avail from us a quality proven series of Carpet Shampoo, which is formulated by taking of finest quality ingredients at our end. C101 is a concentrated carpet shampoo for all types of carpet upholstery. It is PH neutral, with a pleasant fragrance for cleaning of all types of carpet and upholstery. SATOL 101 is a concentrated carpet shampoo for all types of carpet upholstery. It is PH neutral, pleasantly carpet shampoo for interin clening of all types of carpet and upholstery.